Inbox Zero is probably not what you think it is. There is a fairly common misconception that just doing a Select All | Delete would count as Inbox Zero. There is a generally good feeling that comes from the clean look of an empty inbox, but that is really just part of the real psychology behind it all. Let’s take a look at some of the reasons why Inbox Zero is a huge productivity winner and also how to get there. I wrote about the Email Game previously and have been practicing this method on a daily basis. Every day at 10 AM the game begins and sometimes I follow up with an afternoon edition in cases where there is a big buildup of content. Dropping the message count down to zero is a cathartic feeling. That’s not the real reason Inbox Zero is important, though. The real reason is about the flow of work which is affected by the way that tools like the email game make us work. By rapidly forcing cleanup and answering emails in seconds instead of labouring over them for minutes to get the same result, we increase the flow which means increased productivity. Stacks of emails are no different than piles of paper which need to be dealt with. 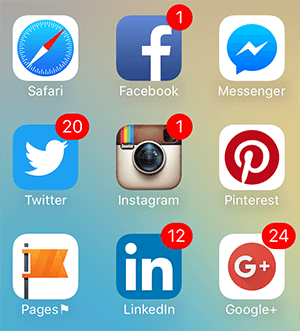 The count is important and has a profound psychological (and even a physiological) effect on you as I wrote in a recent blog on Why Badges and Notifications are Killing your Productivity. Moving the badge counter to zero by increasing the flow of work effectively means that you are increasing the output and training your email muscles. Any communication is meant to simply move the flow of work and keep track of data/details to ensure we are communicating effectively. Email often becomes a long-form version of instant messaging apps. A former manager I worked with once said “if you have more than 3 replies to an email, pick up the phone”. Moving emails through and assigning real todo items into lists or other tools like Kanban or task management products will lead to a cleaner flow from inbox to output. Time to start your training! Reply / Reply All – Separate buttons (thank you for reducing Reply to All storms by accident!) which give you a timer to answer the email. When the clock is running, you learn to be concise and quick. Start with the first batch of emails and then think about things like “how can I reply quickly but get an effective response?” and also think about changing from using your inbox and unread emails as a todo list. If you have email that needs to be revisited, the boomerang feature is super cool. You can even reply and set it to remind you after a period of time if no reply comes back. Inbox Zero Achieved, Now What? PRODUCTIVITY HACK #1 – Don’t open email until 10 AM. Seriously, this works once you get used to it. Start with 8, then 9, then eventually you will find that most of the early emails are people pitching content over the fence so that they clear up their todo list. My email cycle is to generally not open email until 9 or 10 AM. This includes work and personal email. From there, CLOSE YOUR EMAIL CLIENT!! Yes, you read that correctly. Close down your email until after lunch. Then batch process email and prioritize what is current for the day, then CLOSE YOUR EMAIL AGAIN. Set your next batch at 3 PM or so, and then once more at the end of the day. If you follow the more aggressive Cal Newport / Tim Ferriss methods, they use things like days-in-a-row without email and auto-responders, but I tend towards the more early stages of email batch handling which has proven to be super helpful. Let me know what you think and your own methods by dropping in a comment. Sharing your successes and challenges helps all of our readers and I learn every day from how my peers take on and adopt productivity habits.